Type BR 125A Main lug indoor non-combination loadcentre. Maximum 12 1-inch spaces or 24 1/2-inch spaces. Single phase, 3 wire, 120/240 volts AC. Door and trim is included. Homeline panel packages combine a service entrance loadcentre with a selection of breakers for easy installation. 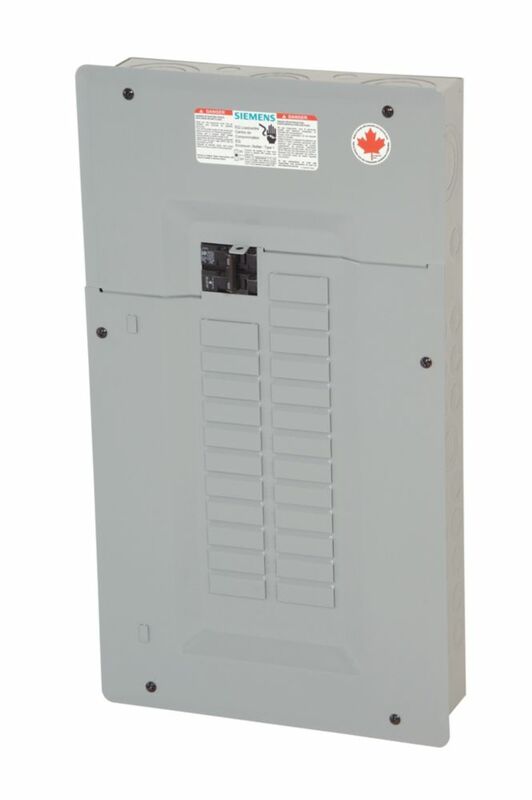 This panel offers speed and safety features such as, straight-in main breaker wiring, painted appliance white finish for no sharp edges, drywall markers for accurate installation and a shielded bus design. The quality you expect from Schneider Electric, the industry leader, is built into all Homeline loadcentres. One example is our exclusive Qwik-Open circuit breakers, which give homeowners a new standard for reliable, fast-acting circuit protection.